New Year’s Eve is the time to ring out the old and ring in the new. Time to forget about the fuddy-duddy ways of celebrating the New Year. Time to step out boldly with a new way of entertaining your guests. Time for Exclusive Casino Hire to liven up the proceedings. Whether your guests are family, friends, colleagues or customers, you can be a winner and create a sensation with a casino event. You can watch people who have never met before, mingling animatedly around the roulette tables, facing each other excitedly across the poker table, outguessing one another at the blackjack table and generally getting on famously with each other. Give a special aura to your venue with custom designed props and aesthetically designed sets. Make your guests feel that they are in a wonderland from which they would not want to emerge into the real world. The next morning and for many mornings thereafter have them talking about the most amazing New Year’s Eve celebration that they had ever been a part of. 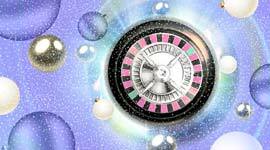 Have them wishing that 365 days should pass by in a flash and they can get down to celebrating New Year’s Eve once again with Exclusive Casino Hire. When the New Year’s Eve party winds down you will have the pleasure of seeing guests who hardly knew each other when they entered, leaving with arms around each others’ shoulders. 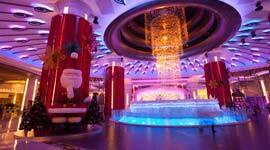 That’s the kind of spirit which our personnel will create at your New Year’s Eve party. 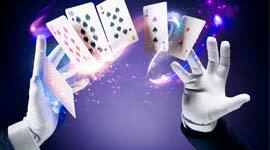 Book Exclusive Casino Hire for your New Year’s Eve party by calling us directly on 07957 283 809 or e-mail us via our contact enquiry form and we will get in touch with you to understand your plans and your ideas and will help you to make them a reality. All this with inputs from our professionally qualified and experienced team who are delighted in making people smile. 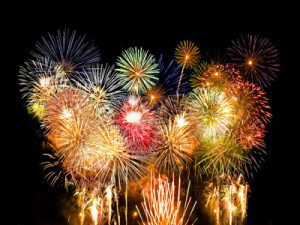 A New Year’s Eve party doesn’t have to be only about casino fun and games. You are welcome to introduce a live band or DJ to get people on to the dance floor. We will happily collaborate with you to make sure that these entertainments merge seamlessly with the underlying theme and concept of your New Year’s Eve party. We love challenges. Challenge us to create an extraordinary atmosphere and conduct a unique event that will live in your memory and that of all your guests.